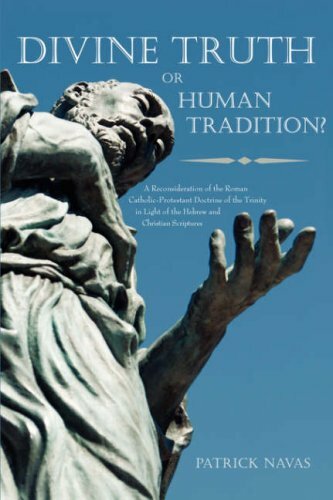 In Divine Truth or Human Tradition? the author examines the viewpoints and Scripture expositions of prominent evangelical scholars and apologists; including popular author and debater Dr. James R. White (author of The Forgotten Trinity), John MacArthur (President of The Master’s Seminary), Wayne Grudem (author of the widely-read Systematic Theology), Robert Bowman Jr. (author of Why You Should Believe in the Trinity), Robert Morey (Founder of California Biblical University & Seminary and author of The Trinity, Evidence and Issues), R. C. Sproul (President of Ligonier Ministries), Robert L. Reymond (author of Jesus, Divine Messiah and A New Systematic Theology of the Christian Faith), and others. Understandably, this fact has raised questions in the minds of Christians and truth-seekers alike ever since the doctrine was first decreed as mandatory to confess in the late 4th century. Many Christians have wondered: How can a doctrine that is not clearly or explicitly taught in the Bible be considered mandatory to accept in order to be a true practitioner of the Christian faith? Since it is not taught by Scripture in a straightforward way, is it possible that the doctrine of the Trinity is not an authentic representation of God’s nature and of the original apostolic faith? Were the councils correct in decreeing that it is obligatory for Christians to accept the concept of the Trinity in order to be saved? Or, does such a pronouncement go beyond the original apostolic doctrine? Few Evangelical Christians have been willing to explore these issues in depth. Most are familiar with the arguments commonly advanced to defend the idea. But how many are familiar with alternative (yet scripturally harmonious) ways to understand the classic “proof-texts”? Surprisingly–as research has revealed–Trinitarians themselves provide most of the alternative answers.